I got my first ride very early this morning at 5AM in Larry Schreiber’s new jet, and we have just touched down in Florida. Larry bought his 1997 Cessna Citation V/Ultra last week, and it was already flight ready this morning. Very few of Larry’s friends knew that he was taking pilot classes, and only two of us were brave enough to fly with him on his maiden voyage to Florida [with Larry in the co-pilot seat]. 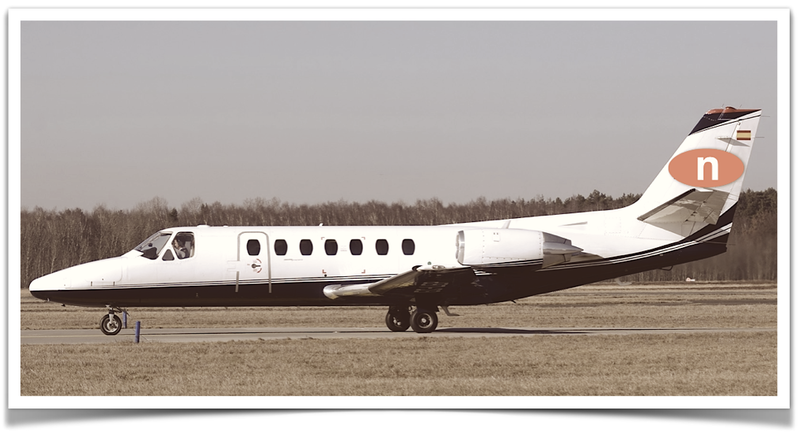 In 1994, the Ultra was named Flying magazine’s “Best Business Jet.” The Ultra was produced from 1994-1999. The Cessna Citation V/Ultra was developed in light of the growing demand for increased cabin space in light jets. The Citation V is a stretched version of the Citation II, with 406 cubic feet of cabin space with an additional 76 cubic feet for storage. 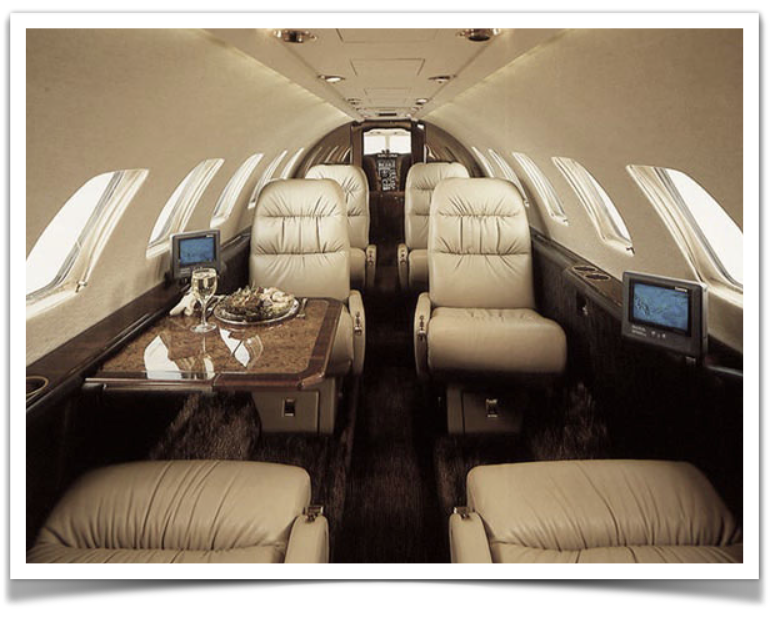 The jet also features an enclosed cabin and boasts a range of 1,960 nautical miles. The Citation V has upgraded engines for improved all around performance. Typically, the Citation V/Ultra has seating for up to eight passengers and has the ability to easily fly non-stop from Buffalo to Ft. Lauderdale. For those of you curious about price, Larry only paid $1.5M for the jet. Of course, the upkeep and fuel are the real costs, but Larry said that it was worth it.